The region of Limousin has now been amalgamated with Poitou-Charente and Aquitaine to form the very large administrative region called Nouvelle-Aquitaine. However, most of us who know and love the area still tend to refer to the three departements of Haute-Vienne, Creuse and Correze by its old name of Limousin. This part of France is known as France Profonde and is beautifully rural. The simplicity of the French lifestyle has made property for sale in Limousin popular with British buyers for many years; drawn here by the large selection of bargain properties for sale. Property prices in Limousin France are particularly reasonable because much of the local population has been forced to move out of the area, or certainly out of the countryside, in search of work in larger towns and cities leaving hundreds of delightful cottages and French farmhouses for sale. Many of these French properties have been in the same family for generations, but as small scale farming has declined they are no longer capable of producing an income to support a family. I have seen so many loved homes that have simply been left still with the grandparents furniture and possessions in them. For some years the family had continued to use the old home for their summer holidays but in a tough financial climate many of these properties have now been put on the market. Each of the departements of Limousin covers more than 5,000 square kilometres and a total third of the Limousin remains forested. With one of the lowest population densities of all areas of France this is indeed a very tranquil place to call home. Each departement is quite distinct in character but my favourite remains Haute-Vienne. What they all have in common, however, is beautiful countryside, a rural lifestyle and some of the cheapest properties in all of France. This was my home for 15 years and I loved every minute that I lived there. I find it hard to believe that anyone could be disappointed if they bought a house for sale in Haute-Vienne. The countryside is not unlike much of England, especially parts of Derbyshire. Rolling hills, verdant meadows, small mixed woodland and forests, trout filled streams bubbling over rocks, larger rivers such as the River Vienne and River Gartempe and hundreds of lakes of all sizes. I used to travel for many kilometres along tiny country lanes without seeing another car. In fact it was often more likely that I would come across a flock of sheep on the road than another vehicle. I have to admit that all of this was more than 30 years ago and nowadays there is certainly a little more traffic but otherwise very little has changed. In fact, when I was showing properties to a client (all those years ago) as we travelled through a tiny hamlet she suddenly said to me “this is a land where time has stood still”. She was right. I think that the whole of Limousin, outside of the main towns, still deserves that description. 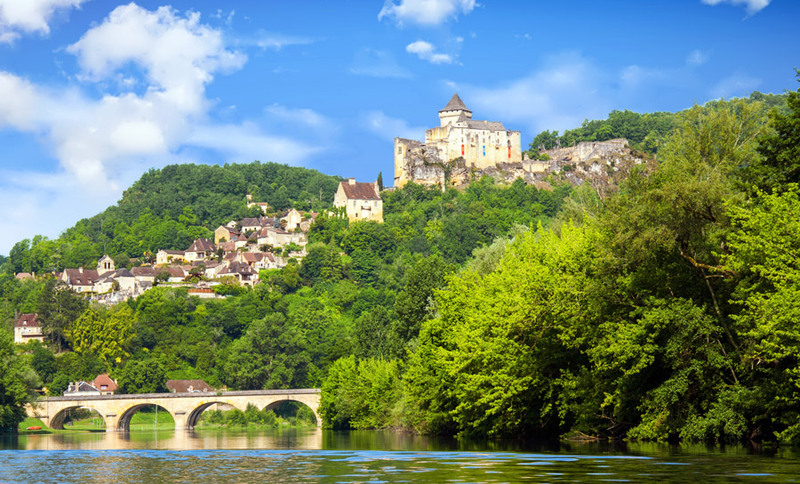 Because Haute-Vienne is one of the most rural parts of France it manages to maintain a traditional French lifestyle which, combined with bargain French property prices, makes it particularly appealing to the British buyer of French property. 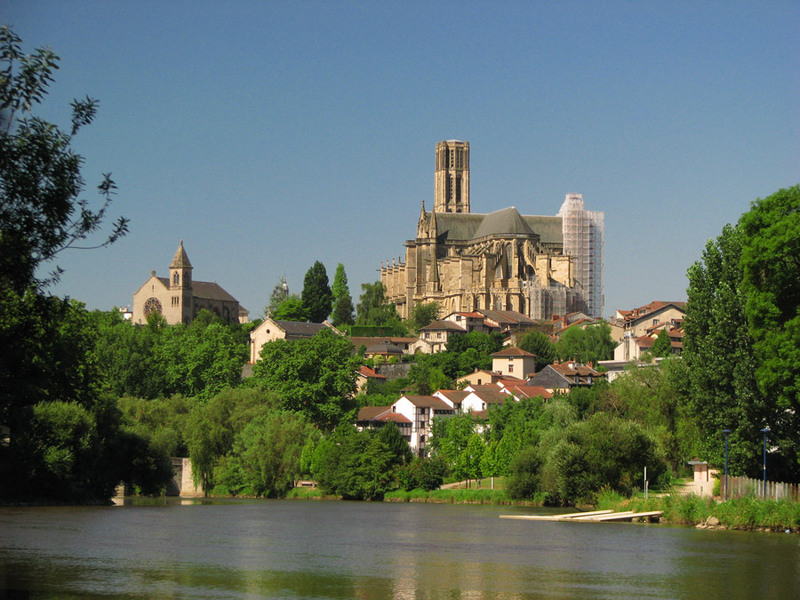 Limoges is the capital of Limousin and is in the centre of Haute-Vienne. It is the airport at Bellegarde which is mainly used for access to all of Limousin and much of Dordogne and Charente, having numerous flights from regional airports all over the U.K. Although it has grown since the days when I could turn up and park my car by the runway, it still remains a small, easy to navigate airport only a few kilometres from the centre of Limoges. The city of Limoges itself is full of charm and sits high above the River Vienne. The highest and most central part of the city being the large covered food market which is open 6 days a week and most resembles Harrods Foodhall. The two main shopping streets descend from here down the hill to one side and the old and very famous Rue de la Boucherie descends down towards the medieval part of the city next to the river. Limousin, being famous for its cattle, made its major city famous for its butchers and although this old road no longer houses many such shops, the shop fronts have all been kept and are now art galleries, restaurants and other boutique style shops behind the old frontages. However, there is one shop and house that remains as it was in the days of old fashioned butchery. It is now a museum and is well worth visiting. 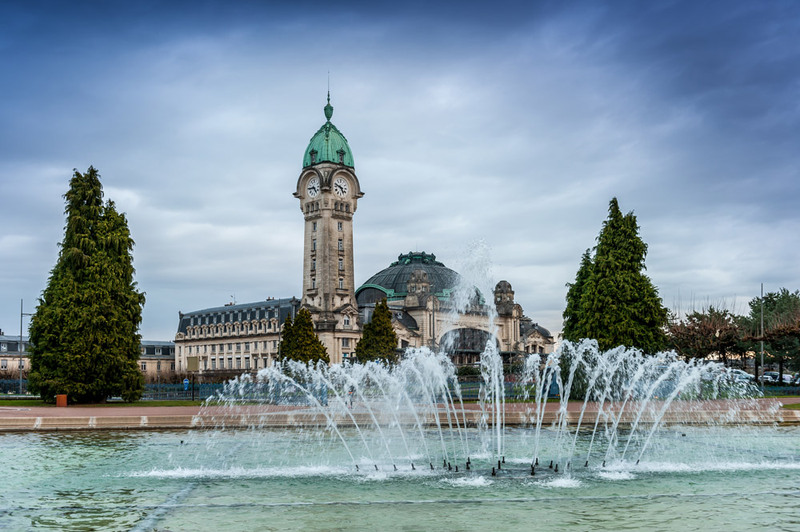 Limoges has a young, itinerant population as it is one of the major university towns of France and as you wander around it is not unusual to come across students on an exchange year from their UK universities. The railway station is a must to visit and has been referred to as the most beautiful station in all of Europe and, of course, it has a good train service to Paris for connections to the UK for those who don’t want to use the airport. There are five museums in Limoges of which my two favourites are the Musée Beaux Arts and the Musée de las Resistance. Both of these museums are situated in the lovely grounds of the Jardin de l’Eveche. When I first visited these botanical gardens they had every plant that was indigenous to the area, all clearly named, which helped no end with planning my garden. The Musée des Beaux Arts is housed in the old Bishops Palace and amongst its wide collections is the most amazing collection of enamels from all over the world. Until you have seen the stunning blue enamel of Limoges you really haven’t lived! The Musée de la Resistance, next door, is fascinating as it covers the story of the French resistance movement in this part of France and even has a map showing each tiny place where UK parachutists were dropped. From this museum I was able to find out about an English parachutist who landed near my house in the north of Haute-Vienne and was kept hidden under the floor boards of one of the rooms of what became my home. So if you buy a house in Haute-Vienne do go and do some research in the Musée de la Resistance to see what you can find out about the area around your home in France and how it was to live there during the war. Limoges has no shortage of sophisticated shops and restaurants and, of course, plenty of retail outlets selling the famous Limoges porcelain. Anyone who buys a house in Haute-Vienne need not go without a regular dose of culture or retail therapy and there is certainly always something for the younger members of the family to enjoy. One of my most favourite zoos, Zoo du Reynou, is on the outskirts of the city. It is a small zoo and my particular memories are of the zebras and giraffes running free in a large hollowed out grass area. The joy of looking from above at the animals is that you are on eye level with them and the giraffes, in particular, seem to like being petted. Staring a giraffe straight in the eye is a novel experience. There is a large leisure centre, swimming pool complex, cultural centre, opera house, theatre and many cinemas. Despite being located in the centre of an area referred to as France Profonde, Limoges still offers a huge range of activities for those days when you want to leave the rural life behind for a few hours. Alternatively, why not consider buying a home in the centre of the city? There are lovely, old style apartments in the centre and small houses within easy walking distance of the all attractions. Whilst most UK buyers of houses in Limousin choose rural cottages or farmhouses it is worth thinking outside the box sometimes and considering buying a bolt hole in Limoges or in one of the smaller towns of Haute-Vienne. There are several smaller market towns in Haute-Vienne that I think are worth investigating if you are looking to buy house in a small French market town. Amongst my favourites are Bessines sur Gartempe which is not only on the river Gartempe but also has its own leisure lake with a large sandy beach. The market square is delightful and the range of food shops is very special. The main road through the small town was replaced with the motorway years ago leaving this lovely town to enjoy peace and quiet with its cafés welcoming locals from outlying villages as they come to buy and sell in the market. Chateauponsac, nearby, sits high above the river which offers delightful walks passed the old watermill and along the river valley. The old houses have beautiful terraced gardens leading down to the river and are a jumble of architectural styles. It also has a fascinating small museum housed in the old Benedictine monastery illustrating life as it was lived in the area. Le Dorat, in the north of Haute-Vienne was classified in 2016 as one of the ‘petites cités de caractère’ and is well worth a visit. Much of its 15th century walls remain and once you enter the town via the Porte de Bergerie you are faced with the amazing collegiate church dating back to the 12th century. The small town is famous for the Ostensions Limousines, an event which happens every 7 years is some Limousin towns where the sacred relics are removed from the church and paraded through the medieval streets. This may not sound appealing but I can assure you that it is a very special event and well worth visiting as the whole town turns out to pay homage amidst buskers, stalls with local produce and all the fun of a festive fête day. There are numerous other small market towns in Haute-Vienne such as Bellac, St. Julien, Châlus, Ambazac, Aix-sur-Vienne, Eymoutiers, Rochechouart to name just a few. Each are worth visiting if you are thinking about buying a village or town house. The joy of these small market towns in Limousin is that they remain very local, tourists do not outnumber the local population and newcomers wanting to share the life of the community are always welcome. I cannot finish this article without mentioning the delight of the lakes for which the whole of Limousin is so famous. Buying a house in Limousin, the Lake District of France, is certainly something to consider. The two largest Limousin lakes are located in Haute-Vienne so they deserve a special mention here. Lac de St Pardoux, in the north of Haute-Vienne, is 30 minutes drive north of Limoges and has beaches, boating, water skiing, quiet areas for fishing and shaded areas for family picnics. It is a delightful spot and a huge addition to the area as it is, without doubt, the destination of choice on hot summer days. Whether you want to sunbathe, be active or relax in the dappled shade, St. Pardoux is the place to head for. South of Limoges and bordering on Creuse is Lac de Vassiviere which is one of the largest artificial lakes in France and a total 10 sq. kilometres. It has everything that Lac de St Pardoux offers plus a pleasure boat for trips to see it all and an island with a permanent outdoor sculpture exhibition and a lighthouse! The lakes of Limousin, and the way they have been developed for leisure purposes provide a real asset for a landlocked area at any time of the year. Apart from these two large lakes there are many smaller ones throughout Haute-Vienne and most often these are reserved for quiet fishing. The rivers are also good for swimming and fishing and there are places on both the River Gartempe and the River Vienne where you can swim safely, even if the water is a little cold! 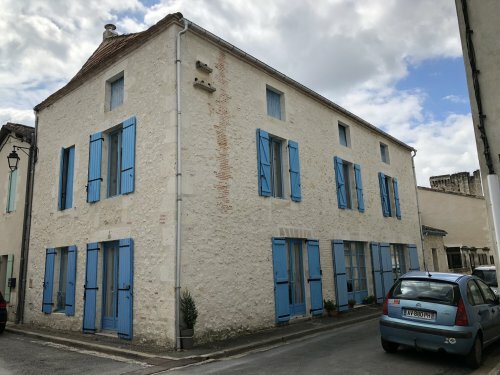 Well, we know already that property in Haute-Vienne is amongst the cheapest property in France but, for prospective buyers of French property it is worth familiarising yourself with the types of property on offer. Mostly the bargains are the properties in hamlets or villages. Here there are still single houses or farm complexes in need of renovation and for anyone with the time and skills such property represents a real bargain, However, if you plan to buy a renovation property and employ artisans to work on it do get estimates for the work before you decide to purchase. Professional renovation costs are often higher than you may anticipate. For anyone with average DIY skills there are loads of small cottages and houses that can be lived in while you may choose to update bathrooms and kitchens and to decorate to your taste. A good selection of all these kinds of properties is available for less than €100,000 and even properties less than €50,000 if you don’t want anything too large. Ready to move into cottages and farmhouses are on the market from €100,000-€200,000 and there is a wonderful selection of true character properties beautifully renovated and in very pretty locations. 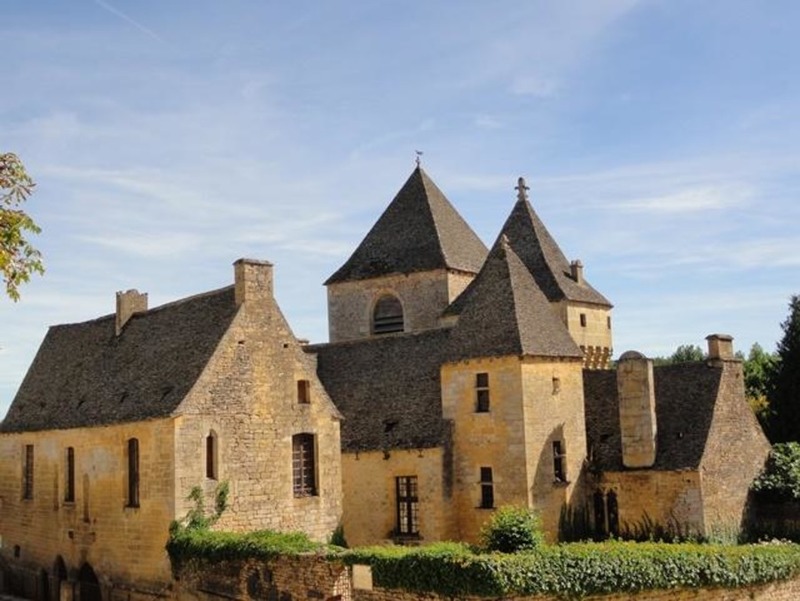 With a larger budget there is a choice of watermills, gîte complexes, manor houses and even your own French chateaux. Prices obviously vary for such individual properties but you can be pretty sure that anything you find in Limousin will be cheaper than in most of the rest of France. Finally, there are lakes for sale, many of them well stocked some with day cabins and some with houses. Again these vary according to what is for sale but if you are looking for a lake or a property with a lake then Limousin is certainly the best place to start your search. Lakeside properties in Limousin come onto the market reasonably frequently. What Is The Weather Like, I’ve Heard It Rains A Lot? Haute-Vienne wouldn’t be so beautifully green if it didn’t have a fair amount of rain, however in the Limousin the climate is more affected by altitude than longtitude. Haute-Vienne is at a lower altitude than the southern departement of Correze but despite it being further north think the climate is not colder or wetter than its southern neighbour. Average daytime temperatures in January are 4 degrees rising to 23 in July and August. February is the wettest month with 100mm but surprisingly is also the sunniest with 9 hours daily. As a comparison, London’s wettest month is January with 80 mm. My experience of the climate when I lived in Haute-Vienne was that occasionally we had a cold winter with some snow but more often the winters were mild with mixed sunny and cloudy days. Throughout the year most days had some sun and some days got very hot. Despite the average temperature in July and August being a gentle 23 degrees I have known many days with temperatures in the low 30’s. One thing that always seems clear was the weather was about as tempermental as the English climate: after days and days of hot sun we would plan a full day at the lake and then it would rain! However, I never felt short of sunshine whilst relishing the seasons as they changed. To sum up I would say that the summer is longer than in the south of England and much more reliable, spring comes earlier, autumns are glorious and winters unpredictable. Is There Any Public Transport In Haute-Vienne? Outside of Limoges there really isn’t any useful form of public road transport in Haute-Vienne. In some parts of the departement there remains a train service but this is very limited. I would not advise anyone to buy a rural property in Haute-Vienne unless they are prepared to use a car to get around. Those people who live in small market towns may benefit from some form of community transport and will be well served by taxis but truly, if you don’t drive I would not recommend buying a property in Haute-Vienne. Is it sensible to buy a really cheap property? This really depends on what you intend to buy. Buying a simple little village house or cottage that only needs a little bit of TLC can be very sensible and you should be able to find something to suit for less than €50,000. However, if you are thinking of buying something a little more ambitious that is cheap to buy but may need extensive renovation work then it is wise to get building quotes before you commit to a purchase. Ultimately, I suppose it all depends on what your classification of cheap is, I know that I could find a 2 bedroomed cottage, in a good situation and that I would be very happy to move straight into for less than €70,000. I would just issue a few words of caution to think before you leap when you see whole farm complexes for sale at a very cheap price. Even if you have all the skills to carry out the required work the materials alone may cost you more than you plan for. If you have any questions about living and buying property in France please don’t hesitate to call us on +44 (0)1306 775 008. We have 30 years experience of the French property market. Mistakes people make when buying a property in France. Where Is Right To Buy French Property? Enter your email address to follow this blog and receive notification of new posts.